Home > News & Resources > Event Data Recorders in North Carolina: What Does Your Car Know? According to the report, event data recorders capture about five seconds of data from before a crash and stops recording about one second after a crash. Event Data Recorders are changing how crash litigation occurs in North Carolina. Vehicle speed and whether drivers and passengers were belted are often determinative in outcomes and in the size of judgments and settlements. Such information is no longer dependent on witness testimony; that information is now kept by the EDR. Crash litigation in the future is going to be very different. You are going to need skilled Charlotte car accident lawyers who know the changing laws and technological trends. What Are Event Data Recorders? Event data recorders could be a game changer for your case. Contact Brown Moore & Associates today. An EDR is a device that combines sensing and diagnostic computer modules that track and log various information about what the car or truck is doing. GM used the first event data recorders in the mid-1970s to track airbag deployment. GM and other automobile manufacturers were primarily concerned with product liability lawsuits. Over the years, as computer technology advanced, more and more data was tracked. By the 2000s, a vast majority of vehicles had some sort of EDR tracking airbag deployment, speed, seatbelt compliance, etc. There are many different ways that event data recorders function. Some, like those on airplanes, continuously record data and store that data for predetermined lengths of time. Other event data recorders continuously record, but overwrite the data from several minutes prior until a crash occurs. Others do not record continuously, but only begin recording if some “crash-like event” occurs. Likewise, event data recorders vary in whether the information is simply stored or whether the data is broadcast via wireless internet connections. As reported here in 2016, Tesla cars are constantly connected to the manufacturer via the internet. In the case described in the article, a Tesla owner claimed his car suddenly accelerated on its own and crashed into a building. However, Tesla’s EDR data showed that the accelerator pedal had been pressed all the way down just prior to the crash. This suggested human action; not mechanical failure. From Tesla’s perspective, EDR data is essential in deterring and disproving claims of product liability. Asking for EDR information during discovery is becoming routine. A good example of interrogatories and document requests is found in a recent Georgia case. See Howard v. Alegria, 739 SE 2d 95 (Ga. App. 2013). As internet connectivity in vehicles increases, it is likely that wireless transmission of data is going to become more common. Thus, subpoenas to carmakers should now be added as routine steps taken in car crash cases. Failure to produce or spoliation of black box information is sanctionable. See Howard v. Alegria, above. However, victims and attorneys are cautioned to act quickly. Research has failed to uncover rules and regulations on how long EDR data must be kept. In the Howardcase, the defendant claimed that such data was routinely over-written after six months. How is EDR Data Used in Lawsuits? See Harris v. Daimler Chrysler Corp., 638 S.E.2d 260 (N.C. App. 2006). 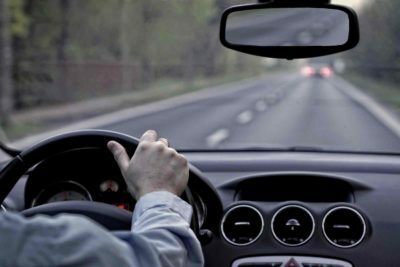 In general, when you are driving, you owe a duty of care to every other driver (and pedestrian) to keep a careful watch and to not drive recklessly. Driving too fast is the most common basis for proving that a driver has breached his or her duty of care. EDR data now allows for precise determination of a driver’s speed. Nevertheless, it still takes an expert witness to retrieve and interpret EDR data. Was there any attempt to slow or swerve to avoid the accident? How close was the car following behind? Onboard cameras are also going to become instrumental in crash cases. EDR data already impacts issues of injury since the data provides information on whether the various occupants of the cars were wearing seat belts. As said, crash litigation in the future is going to be very different. If you or a loved one has been involved in an automobile collision, contact an experienced automobile accident attorney at Brown Moore & Associates. We will fight for your right to compensation for all of your damages and injuries. Brown Moore & Associates has a proven track record of success. As just one example, in Curry v. Express Freight Systems, we obtained a jury verdict in excess of $1.1 million for a tractor-trailer collision involving the defendant’s failure to yield the right of way. Your case is unique, so we do not represent that similar results will be achieved in your case. But our lawyers know the law and have the experience to get you the compensation to which you are entitled. Contact our office today to schedule your free consultation.